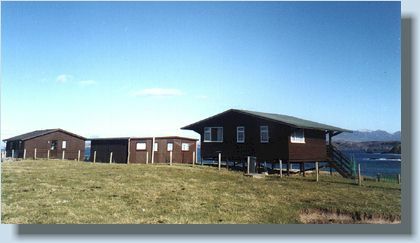 Scotland holiday chalets for vacation. Scotland holiday highlands rental accommodation. After travelling through the splendour of the scenery of Sutherland in the Scottish Highlands, and viewing the famous Torridon peaks of Quinag, Canisp and Suilven, you arrive in the beautiful and remote location of Culkein Bay. Away from noise, pollution and traffic, few places can match these three timber self-catering chalets in their peaceful setting with wonderful views of the bay and mountains. For the holiday of a lifetime you can lose yourself in beach-combing, hill-walking, climbing, fishing, bird-watching or just doing nothing! Wildlife here is abundant and is a photographer's dream. Lochinver is the main shopping area ten miles away and has several interesting pubs and restaurants, as well as a comprehensive Visitor Centre. 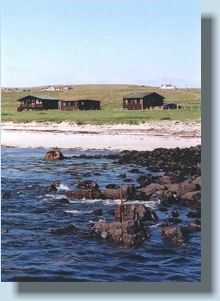 Scotland holiday chalets for a quality Scottish vacation. Accommodation rental in the highlands ideal for photographers, walkers and those seeking tranquility. This site is best viewed using Internet Explorer 5 or later, at a resolution of 800x600 high colour (16 bit) or greater.